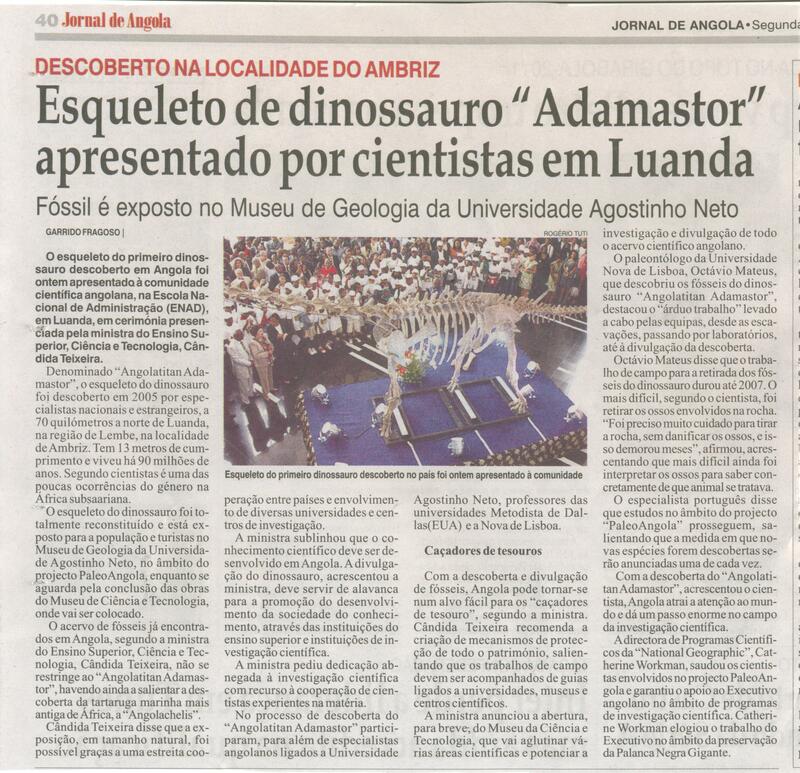 Angolatitan adamastor, a new specis of sauropod, is one of the few occurences of its kind in sub-Saharan Africa in the late Cretaceous. 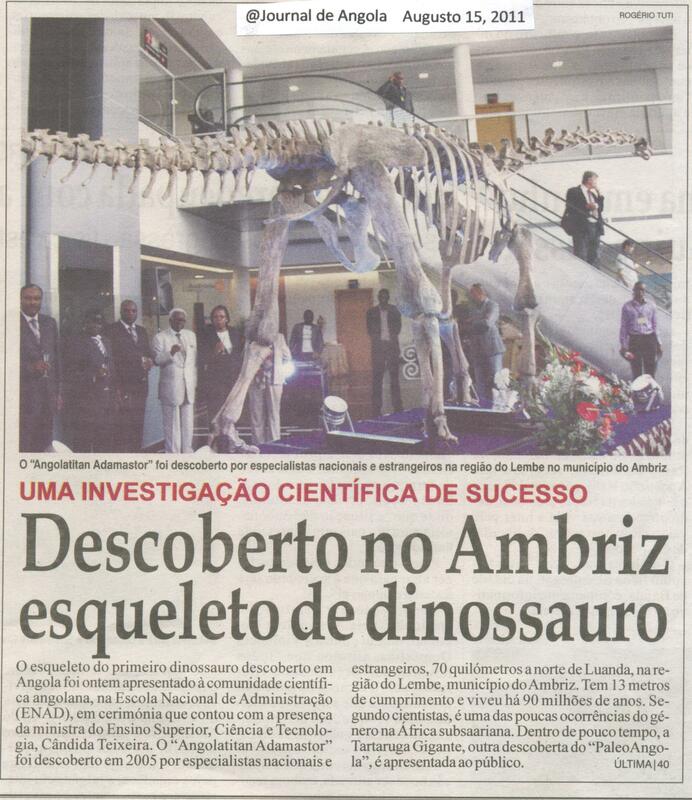 The Ministry of Higher Education, Science and Technology, in collaboration with the Vida Foundation and LS Filmes, is honored to invite the Angola Field Group for the presentation of the PALEOANGOLA PROJECT, as well as the first dinosaur to be discovered in Angola, Angolatitan, to be held on Sunday, August 14th, 2011, at 10:00, at the Escola Nacional da Administração (ENAD), Futungo Road, Luanda. Confirmation to Kaluga Lima. 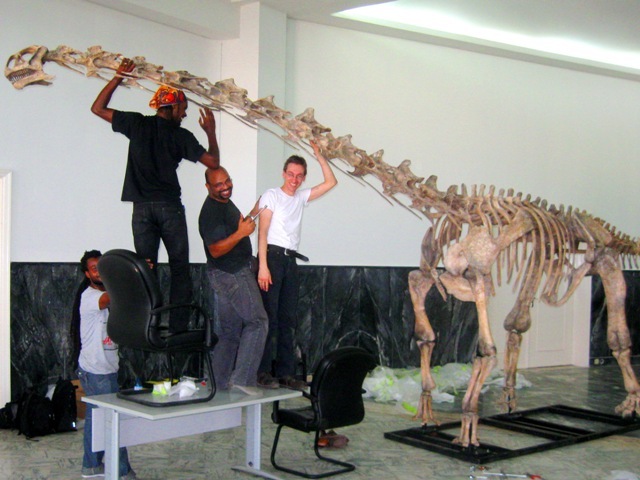 Assembling a full scale model of the Angolatitan, Angola's first dinosaur discovered in 2005, 70 km north of Luanda. 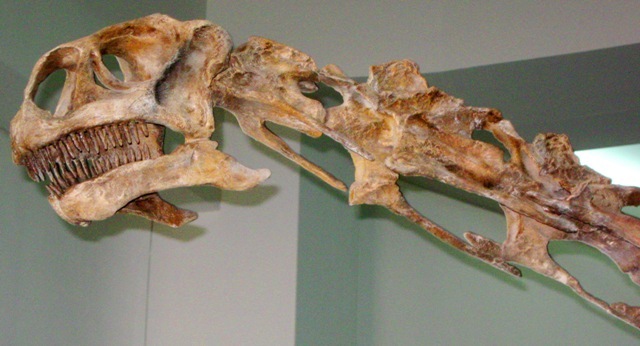 This 13 meter long herbivore lived about 90 million years ago. ***Added on August 23: two articles in Portuguese from the Jornal de Angola newspaper featuring coverage of the events. Click on the image below and it will appear full size on a new browser window.